An estimated one-third of the global food supply depends on bee pollination, which makes the small insects pretty significant. 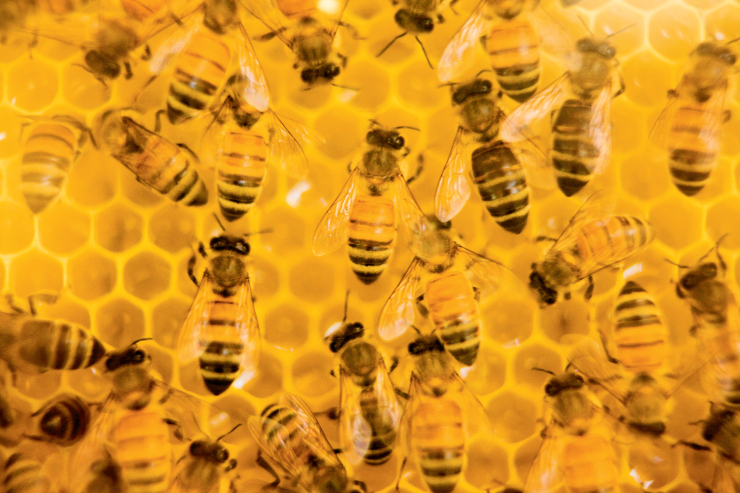 That, coupled with the declining bee population posing serious risks to agricultural productivity, means the Mississippi Department of Agriculture and Commerce (MDAC) has an important role to play in bee health. The Mississippi Bee Disease Act of 1920 established methods of inspection and quarantine to regulate interstate commerce and protect honey bees. Today, MDAC’s Bureau of Plant Industry (BPI) Honey Bee Program monitors Mississippi’s honey bee population for pests and diseases by issuing inspection certificates for the interstate movement of bees and beekeeping equipment and performing inspections of hives, as well as conducting surveys and placing traps at areas such as river ports. “Doing everything we can to uphold the integrity of the honey bee industry and protecting bee health is crucial when both farmers and consumers depend so greatly on honey bees to pollinate fruits, vegetables and food crops,” says BPI Director John Campbell. Pollination is a key process in the reproduction cycle of some plants, and without the assistance of insects like honey bees, some plants would not be able to reproduce and various plants would not be pollinated, resulting in yield loss. In the United States, honey bees make an invaluable contribution to agricultural production, pollinating many important commodities. In recent years, there has been a noticeable decline in honey bee populations. Fortunately, interest in beekeeping has increased as more people learn how important these insects are to the food supply. Since 2008, MDAC has helped those interested in beekeeping receive education and assistance through a Specialty Crop Block Grant from the U.S. Department of Agriculture. Funding provided by the grant has enabled the Mississippi Beekeepers Association to host 19 workshops that have provided instruction and hands-on training to more than 2,000 beginner and experienced beekeepers. The grant also funded a 50 percent cost-share program that helped 230 beginner beekeepers purchase beehives in hopes of expanding the industry. Although it can sometimes be overlooked, there is a lot riding on the backs of these small honey bees. Knowing that sustaining the industry has never been more important than it is today, MDAC will continue working as tirelessly as the bees themselves to safeguard these insects that are instrumental not only to Mississippi, but to the world. I live right out of Clarksdale Mississippi, I would love raise honey bee.I like have a grants.